This week is National Work Zone Awareness Week, which serves to inform the public about the importance of driving safely and adhering to speed limits. Workers are put in peril when people drive recklessly in work zones, and this behavior can have dangerous consequences. According to the most recent data available, there were over 700 fatal crashes and nearly 800 fatalities in work zones in the U.S. in 2017. In Louisiana alone, there were 10 fatal crashes and 11 fatalities. These were preventable accidents, and it is tragic to consider the family members and friends of the victims who will always grieve the loss of loved ones involved in work zone accidents. Don’t Speed – Always follow the posted work zone speed limit and drive carefully. Don’t Drive Distracted – Stay alert and focused on your surroundings, and pay attention to signs on the road. Look out for workers who may be flagging you along the route. Don’t Follow Too Closely – Ensure there is enough space between you and the vehicle in front of you to avoid crashes. 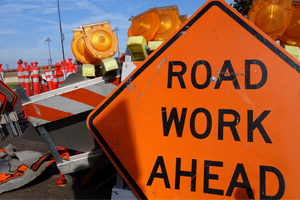 Plan a Different Route– Consider another route to your destination that avoids heading through a work zone. Always Wear a Seat Belt – Make sure you and your passengers always buckle up – no exceptions! We hope that by understanding how important it is to drive cautiously in work zones and by following these helpful tips, both drivers and workers will be safe, and lives will ultimately be saved. If you or a loved one has been injured in a traffic accident, call the experienced Louisiana Car Accident attorneys at Gauthier Amedee at 225-647-1700. You can also submit a free case evaluation form on our website. When you call, you will speak with a leading Louisiana Car Accident lawyer for FREE. Call our experienced Louisiana car accident lawyers. Our legal team will examine every detail of your case and provide the experienced, compassionate and dedicated representation you need to secure the maximum compensation for your medical bills, lost wages, pain and suffering, and more. We’re here to work hard for you and to make sure that your rights are fully protected.